Beautiful rolling acreage awaits your tour. Prime build lot high on a high top with amazing views. Excellent hunting and or investment property. 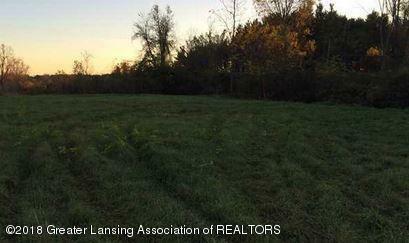 21+ acres of grassy knolls with wooded sections, approx. 5 acres are clear and tillable. Includes a 34x60 ag barn structure with metal roof (unfinished) Maple Valley Schools, paved road and easy access to M-79 and M-66. Come for a walking tour !! Directions: From M66 and M78 - east to Mason Rd South - property within 1 mile on the West side.